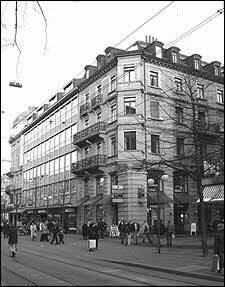 Groner Law is a new, fresh face among the law firms in Switzerland located in the heart of Zurich's financial district. It offers a new approach to the law business, best expressed by three words: "Efficiency", "Value", and "Predictability". Efficiency: It is our goal to provide an efficient service, meaning high-quality service at reasonable cost. Groner Law therefore is focused on areas where the firm has gained a core expertise; notably in corporate transactions, private equity, restructuring, litigation, government regulation, taxes, real estate planning and domestic disputes. Value: Groner Law provides successful solutions in order to maximize the wealth of our customers. We solve our clients’ legal problems to their fullest satisfaction. In addition, we are in a position to connect our clients with a network of start ups, successful IT-companies, business-people, entrepreneurs, and experienced investors in order to provide an added-value. Predictability: One of the problems of law firms nowadays is that they will not or cannot offer reliable estimations of the overall costs for the clients. Groner Law regularly submits an assessment of planned steps and of the future costs before accepting a case. Upon request of the client, we will agree on a clear cap of the costs for the planned services. Our clients are safe from unpleasant surprises in their invoices. Please send us an e-mail for a quick assessment of the costs for your case.